Announcing 24/7 Dad® 3rd Edition > See What's New and Save $200 During the Pre-Sale! Developed by parenting and fatherhood experts, 24/7 Dad® A.M. and P.M. teaches men the characteristics they need to be good fathers 24 hours a day, 7 days a week. Used by a wide variety of fatherhood leaders and fatherhood organizations across the country, research shows 24/7 Dad® successfully changes fathers’ attitudes, knowledge, and skills. And now, with research-based enhancements and additions, our flagship fatherhood program is even better than ever in its 3rd Edition! 24/7 Dad® remains based on a philosophy that supports the growth and development of fathers and children as caring, compassionate people who treat themselves, others, and the environment with respect and dignity. This philosophical basis of caring and compassion forms the underlying structure that constitutes the values taught in the 24/7 Dad® A.M. and P.M. programs. Each 24/7 Dad® Program consists of 12 group-based sessions that build on each other and cover a variety of fathering topics - from family history and what it means to be a man, to communication and dealing with anger. 24/7 Dad® 3rd Edition takes the A.M. and P.M. programs to the next level with enhanced content and activities, the addition of an optional introductory session, video integration, a complementary mobile app, and more! The addition of more than 30 videos to each program (more than 60 videos combined) means it's more engaging for dads and enhances their learning. We also added over 10 “Stories of Impact"—which are videos facilitators can use to motivate fathers to stay in the program. These stories show the impact of the programs on diverse fathers in diverse settings across the country. NFI staff constantly monitor the latest research and evaluations of fathering and parenting interventions, as well as, evidence from the behavioral and social sciences fields on strategies and tactics that positively influence behavior. 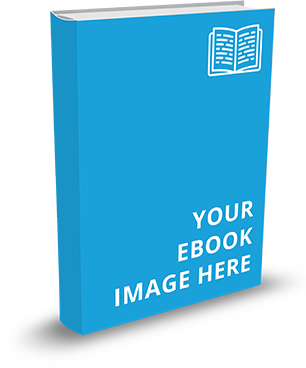 The 3rd Edition integrates research and evidence on habit formation and motivation that will help you increase dads’ motivation to be involved in their children’s lives and develop and sustain the habits of an involved, responsible, committed father. Research shows the use of checklists increases individuals’ ability to ingrain pro-social habits through deliberate practice. The primary content addition in the 3rd Edition is the My 24/Dad® Checklist, a powerful tool integrated into each session that helps dads develop the habits of an involved, responsible, committed father. This checklist encourages dads to identify actions, based on what they learn during each session, that they can take on a periodic basis (i.e. daily, weekly, monthly, and one time) to increase their engagement with their children. We created versions of the checklist in hard copy, online, and mobile versions for use during the program and after it ends. We produced a mobile version of the My 24/Dad® Checklist that dads can install on their smart phones to use on an ongoing basis—extending the impact of the program. The app allows dads to customize time-sensitive checklists of to-do items related to involved, responsible, and committed fatherhood. The app also includes links to information on NFI’s website (www.fatherhood.org) keeping dads connected to the latest practical advice and guidance on how to be a 24/7 Dad. Access it at the Google Play store for free. The updated CD-ROM includes all worksheets and evaluation tools for Dads in Spanish (not previously available). And as always, fathering handbooks in Spanish can be purchased separately. This optional session also helps facilitators learn more about the dads that comprise each unique group, including what motivated them to enroll and what will motivate them to continue coming back. New Pocket Reference Cards remind dads of The Characteristics of a 24/7 Dad and also offer 10 Affirmations to Give to their Kids. A helpful tool for use beyond the program sessions! For facilitators interested in learning more about the behavior change theories that underlie the programs and researchers interested in further evaluating the impact of the programs, the new Program Guide in the improved Facilitator’s Manuals describes the behavioral theories that create the overall framework upon which we built the programs. We included changes that will help facilitators completely integrate the improvements to the programs. 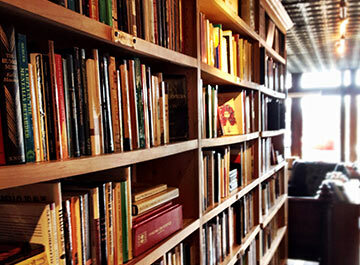 NFI designed the first editions and second editions with input from practitioners who facilitate fatherhood programs. 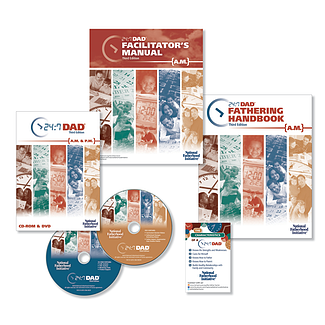 NFI continued to use practitioner feedback to create the third editions by gathering ongoing feedback from 24/7 Dad® facilitators across the country who work with a diversity of fathers, particularly low-income, nonresidential and/or non-custodial fathers. NFI staff has also conducted training institutes for more than 1,100 organizations on how to use the programs. Practitioners provided feedback on the curriculum during these institutes that NFI incorporated into the third editions. Save $200 NOW through February 5th! Be sure to take advantage of our pre-sale pricing through February 5th. Get the entire 24/7 Dad® 3rd Edition A.M. or P.M. Curriculum Kit for just $449 ($200 less than the regular price of $649)! Click here to learn more about 24/7 Dad® AM and 24/7 Dad® PM. 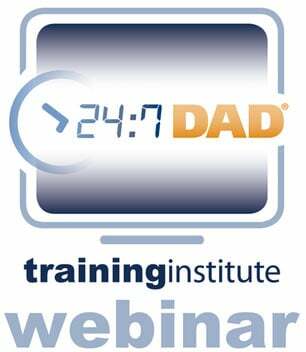 Click here to register for a free webinar on January 20 or 21 with NFI President Christopher Brown to learn more about 24/7 Dad® 3rd Edition!